Professor Amy Edmondson is Coming to South Florida! Don't miss this year's Speakers Bureau event - Tickets are on sale now - Seating is limited - Last Year's Event Was Sold Out! 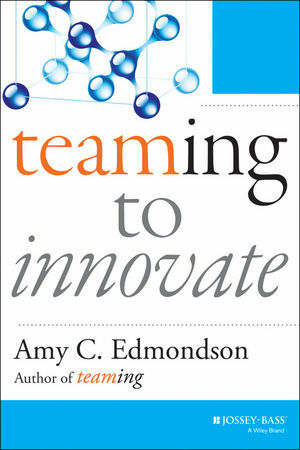 Harvard Professor Amy C. Edmondson is globally respected for her ground breaking research on the subject of "teaming." On Thursday, February 1st, 2018, the Harvard Clubs of Broward and Palm Beach counties and their invited guests, will come together to hear Professor Edmondson share her latest research. This will be an engaging presentation where everyone will enjoy riveting conversation and camaraderie along with heavy hors d'oeuvres. Today’s fast paced environment makes building and sustaining stable teams difficult in many sectors. And so, teaming – the activities of coordinating and collaborating– increasingly must replace stable teams (the structures and boundaries and routines that once held teamwork together). Teaming is teamwork on the fly – it’s collaboration across disciplines, distances, and even organizations. This talk will emphasize the leadership mindset that allows organizations and employees to thrive in this new work environment, and illustrate how organizations that do it well have a competitive advantage in today’s market by allowing them to improve, innovate and respond to shifts in the environment, navigating unexpected twists and turns by harnessing the problem solving abilities of people working effectively together. Amy C. Edmondson is the Novartis Professor of Leadership and Management at the Harvard Business School, a chair established to support the study of human interactions that lead to the creation of successful enterprises that contribute to the betterment of society. 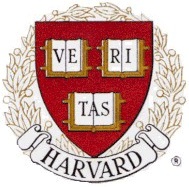 She has been on the HBS faculty since 1996. Edmondson has been recognized by the biannual Thinkers50 global ranking of top management thinkers since 2011 (most recently ranked as #13), and identified as one of the 20 “most influential” thinkers in Human Resources by HR Magazine. Her research on teaming, psychological safety, and leadership has influenced corporate and academic audiences around the world, through articles in Harvard Business Reviewand California Management Review, as well as in numerous academic journals including Administrative Science Quarterly and the Academy of Management Review. Her books – Teaming: How organizations learn, innovate and compete in the knowledge economy and Teaming to Innovate (Jossey-Bass, 2012, 2103) – explore teamwork in dynamic work environments. Her recent books, Building the future: Big teaming for audacious innovation, (Berrett-Koehler, 2016) and Extreme Teaming (Emerald, 2017) examine the challenges and opportunities of teaming across industries. Before her academic career, she was Director of Research at Pecos River Learning Centers, where she worked on transformational change in large companies. In the early 1980s, she worked as Chief Engineer for architect/inventor Buckminster Fuller, and her book A Fuller Explanation: The Synergetic Geometry of R. Buckminster Fuller (Birkauser Boston, 1987) clarifies Fuller's mathematical contributions for a non-technical audience. Edmondson received her PhD in organizational behavior, AM in psychology, and AB in engineering and design, all from Harvard University. She lives with her husband George Daley, a physician scientist and the Dean of Harvard Medical School, and their two teenage sons.